At RAPID + TCT last week, additive manufacturing (AM) software solutions company, LINK3D announced the first ever integration of blockchain technology for AM in its flagship SaaS product, Digital Factory. File integration, IP integrity, DRM: Blockchain technology can be used to track origination of each design file and its evolution. Real-time data from machines: Logs from machine can be stored in an immutable way for forensics during recalls and for traceability. In many ways, the supply chain has always existed as a fluid, evolving system. It has a long history, and is also a necessary component of our modern economy. Although it’s easy for a supply chain manager to become accustomed to the nuances of the current supply chain, it’s wise not to get comfortable — there are plenty of major disruptions ahead. It wasn’t long ago when the current generation of 3D printers was seen as nothing more than niche products. The small size of the hardware, coupled with low quantities of raw materials, relegated these devices to custom products and small production runs. But times are changing. GE already has a plan to 3D-print 40,000 jet fuel nozzles by 2020. They’re so confident in the future of 3D printing that they’ve invested $1 billion into the technology in 2016 alone — and they’re planning to invest another $1 billion over the next few years. Other brands — from nearly every industry imaginable — are also exploring 3D printing. UPS is in the midst of launching more than 60 facilities across the U.S. to fulfill a new parts-on-demand printing service. HP has announced new agreements with industry leaders Jabil and Forecast 3D to drive the future of distributed design, manufacturing and digital supply chains leveraging the power 3D technology. As the global economy enters what many call the 4th Industrial Revolution, new technologies such as 3D printing are enabling an array of new business opportunities such as distributed design and manufacturing, supply chain services, and increasingly localised production. “From multinational design engineering and manufacturing, to localised production, industry leaders such as Jabil and Forecast 3D are demonstrating 3D printing’s expanding role in the digital transformation of the $12trn global manufacturing economy,” said Stephen Nigro, President of 3D Printing, HP Inc.
Jabil (NYSE: JBL) today introduced the Jabil Additive Manufacturing Network™ to drive greater manufacturing speed and agility while helping customers improve how they design, make and deliver products. A major milestone in Jabil’s digital transformation journey, this unique cloud network empowers customers to move manufacturing workloads to regions and into markets that make the most business sense and enable easier product personalization. Over the past year, Jabil has increased its 3D printing capacity steadily with more than 100 3D printers now in operation at facilities in the United States, China, Hungary, Mexico, Singapore and Spain. A variety of 3D printing machines have been installed for high-speed sintering, fused filament fabrication, polymer and metal laser sintering and other processes, to address emerging customer needs in the footwear, industrial machines, transportation, aerospace and healthcare industries. Jabil’s distributed manufacturing strategy is anchored by this growing ecosystem of 3D printers, which includes a dozen production-ready HP Jet Fusion 4200 3D printers, following the recent installation of six HP Jet Fusion 4210 printers at Jabil’s Singapore facility. We’ve all heard about the transformational impact that 3D printing will have on product design and development. Previously impossible designs are now possible with 3D printing (also known as additive manufacturing or AM). For example, the technology extremely complex internal channels that are impossible to create with traditional manufacturing possible by literally “growing” a part layer by layer. Additive manufacturing is also transforming product development. Timelines once measured in years are routinely being condensed down to months and even weeks. Parts that would have taken six months (or more) to produce via traditional manufacturing techniques like metal injection molding (MIM) are now taking six days or less with additive manufacturing. In today’s fast-paced, hyper competitive world, fast innovation and product development are key sustainable competitive advantages. The force multiplier behind all of this is the maturation of metal 3D Printing processes to the point that production volumes are now possible. Additive manufacturing—colloquially known as 3D printing—is starting to revolutionize military logistics. Recently, a U.S. Marine Corps unit— Combat Logistic Battalion 31, 31st Marine Expeditionary Unit—provided a replacement part for a forward deployed Lockheed Martin F-35B Joint Strike Fighter assigned to Marine Fighter Attack Squadron 121 (VMFA-121). The aircraft in question had a small plastic component on its landing gear door wear out. While the piece was relatively small and insignificant, it nonetheless would have required the entire door assembly to be replaced. However, the Marines were able to print out a new bumper and install it in a matter of days rather than waiting for weeks for a new replacement door assembly to arrive. 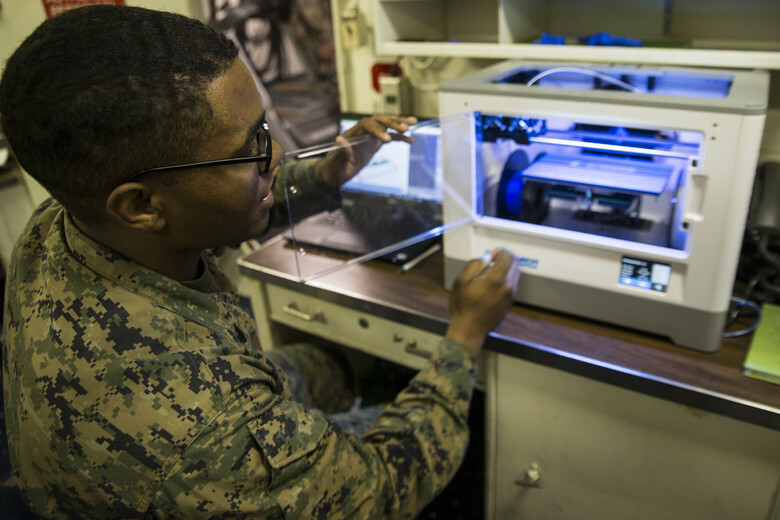 U.S. Marines with Combat Logistic Battalion 31 (CLB), part of the 31st Marine Expeditionary Unit (MEU), are using 3D printing to create spare parts. 3D printing has been used for prototyping for decades, but now it’s starting to creep into production process too. Even if you’re not printing things yourself, that change is going to have implications for your supply chain management. 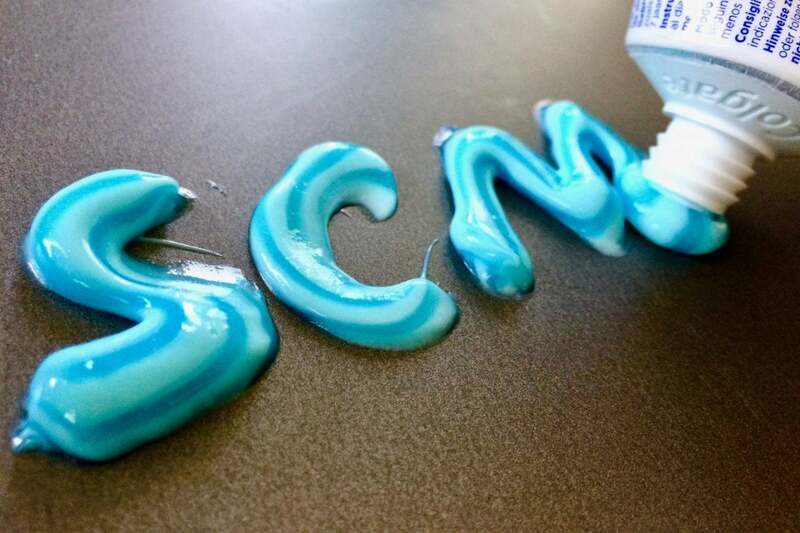 When you think about 3D printing, you might visualize a filament of molten plastic being squirted, toothpaste-like, out of a nozzle, building up an object layer by layer as it solidifies. Technically, that approach is termed fused deposition modeling but more generally we might talk of additive manufacturing, in which the layers can also be built up by fusing powdered metal or plastic (selective laser sintering) or solidifying a liquid using ultraviolet light (stereolithography or continuous liquid interface production), then lifting the finished object out of the unused powder or liquid. A big concern for anyone in the 3D printing industry is intellectual property security. When you’re working with digital supply chains there are unique risks, but fortunately dedicated companies have arisen with the purpose of securing those supply chains and protecting that intellectual property. One of those companies is Identify3D, a San Francisco-based software provider for digital manufacturing security, quality and traceability. Identify3D won the formnext Startup Challenge last year, showing itself to be a promising company addressing multiple urgent needs in today’s industry. Identify3D is now collaborating with SLM Solutions, a leading supplier of metal 3D printing technology. Identify3D will provide a solution for data protection along with contractual and manufacturing licensing from design to production on SLM Solutions’ laser melting machines. This solution will secure all data in the engineering phase, allowing SLM Solutions to secure digital IP, enforce production rules and provide traceability in the digital supply chain at the industry’s highest standard.